These are just some of the descriptions of Panama beaches I’ve come across over the years. And they’re all spot on. Here, you’ll find dozens of variations…from beaches perfect for wading or snorkeling, to the remote, windy shores popular with surfers. I’ve been exploring Panama’s beaches in earnest since 2005, when I left my job training cruise ship personnel. I spent four years cruising from port to port, seeing the world’s most famous beaches. But when all was said and done, I still thought the most pristine, uncrowded beaches were right here, in Panama. Which Panama beach is the best? It’s impossible to choose just one. For starters, we all have different criteria when it comes to choosing a beach. Some prefer well-combed sands fronting a luxury resort; others seek out the most remote, unspoiled stitch of shoreline they can find; and there are plenty of people who are apt to like most any beach they visit. In Panama, you don’t have to settle on just one. For those with eclectic tastes, Panama’s diversity is, by and large, what makes it great. To celebrate this incredibly varied landscape, here are three of my favorite disparate Panama beaches. Contadora, one of hundreds of islands in the Pearl Archipelago, is perhaps the most restful place I’ve ever been. I still remember a day spent at Villa Romantica (now a luxury hotel called Mar y Oro). At the open-air restaurant we ordered the $25 lunch platter, which was piled with enough grilled lobster, shrimp, and fish for two people. After stuffing ourselves full, we flip-flopped our way down the steps to the sands below. The chalet-style hotel overlooks one of the prettiest sparkling white-sand beaches on Contadora Island. Our waiter agreed to make trips down the stairs every now and again to bring us $1 beers. We waved at him from the beach when we needed another round, and tipped him generously for his kind attentions. It was a perfect day, spent enjoying the sunshine and clear skies, baby blue waters that were not too warm, not too cool, and quiet, tranquil atmosphere. This is not a place for late-night parties. Contadora boasts just a few paved roads and cars. Most of the friendly islanders get around on golf carts, boats, or by walking. 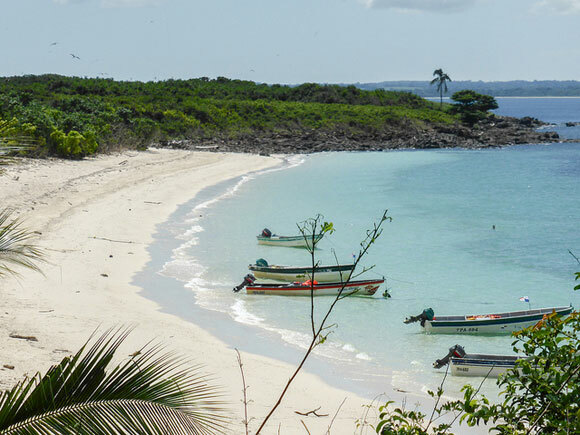 Take a ferry or 15-minute flight from Panama City to Contadora to enjoy the unbelievable views, or hop from island to island to snorkel, fish, and more. Evenings are for sighs of satisfaction, fresh healthy meals, and perhaps a cold beer or rum cocktail before turning in, only to do it all again tomorrow. The first time I landed in the Caribbean archipelago of Bocas del Toro (after a one-hour flight from Panama City), I was jazzed. The views from our little plane had been amazing, and I couldn’t wait to throw myself into those electric blue waters. At first glance, however, the town looked a bit grubby, and I didn’t see any sand on the two-minute walk from the “airport” to our little hotel by the park. But I soon discovered a slew of beaches tucked away amongst the lush greenery. 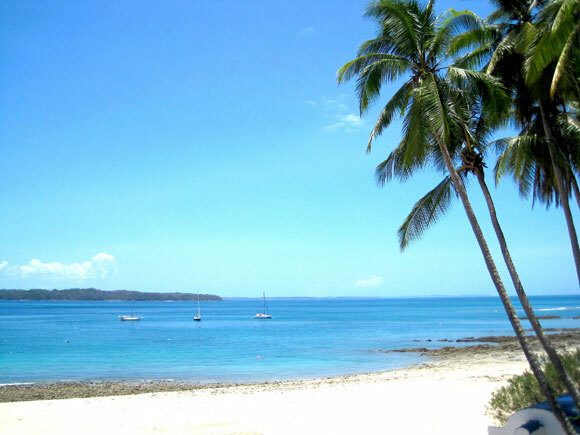 The main island—Isla Colon—is a jumping off point for nearby islets. The first order of the day when you arrive is to book a tour and abandon Bocas Town for the outlying islands. Just head for one of the many tourist stalls on the docks, where you’ll find tours for as little as $20 per person. Most tours include at least three stops. Popular spots include Starfish beach, where you can wade in crystal clear waters and view the perfect red starfish that nestle in the sands. Zapatilla—one of the prettiest beaches I’ve ever laid eyes on—is another great place to stop. The tiny islet is little more than a tuft of deep green jungle, surrounded by a ring of pure white sand. No hotels, no shops, and no restaurants mar the pristine natural setting. When evening comes, head back to your room on Isla Colon to shower or squeeze in a little nap. Then head out for drinks and dinner at one of the island’s many cute little bars and restaurants. If you plan to visit Bocas, here’s an important tip: try to give yourself at minimum three days and expect it to rain at least one of them. While the other beaches mentioned here can boast upwards of 300 sunny mornings a year, Bocas is in a tropical rainforest region of the Caribbean…that means it’s wet! But don’t let that deter you…this is truly one of the world’s most beautiful, off-the-radar destinations. 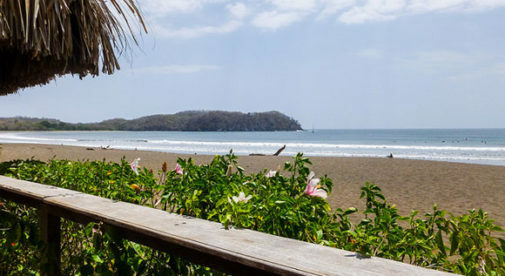 A five-hour drive (or 45-minute flight) will get you from Panama’s sultry capital to Pedasi, a little fishing village in Azuero. Banana trees, sugar cane, and countless varieties of palms line the flat horizon, so different from the capital’s soaring skyline of chrome and glass. The Pedasi region is paradise for water and fishing enthusiasts. It’s the kind of place where pretty much any fish, game or otherwise, is abundant. Catch your own or haggle with local fishermen for red snapper, black grouper, amberjack…whatever they caught that day is usually just a couple bucks a pound. Pedasi itself is not on the coast…but a string of beaches begins less than a mile south of town. With names like Destiladeros and Panamaes, these offer countless opportunities to swim and splash. Some have light sand and others are a burnished gold. One thing they have in common: they’re all amazingly clean and uncrowded. It’s not uncommon to have the beach to yourself on weekdays, as Pedasi is remote and undiscovered by tourists. For the more adventurous, there’s spearfishing, surfing…you name it. Here the Pacific is warm and welcoming…just like the people, who will greet you at every turn. Whether you’re an intrepid adventurer…sorely in need of some R&R…or just looking for something new, Panama does not disappoint. Pick a beach (or two, or 10) and prepare for the experience of a lifetime.